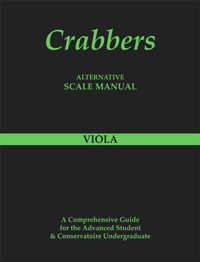 How to quickly understand the Crabbers scale manual. The top line represents the letter names of the scale. Underneath the letters are the numbers which represent the fingers. The comma is the instruction to change string. Example 3,0. Please note if there is no comma do not change string. The arrow ( ) represents the descending section of the scale. Three octave scales are in compound time (triplets) so the pulse will fall on the & signs. 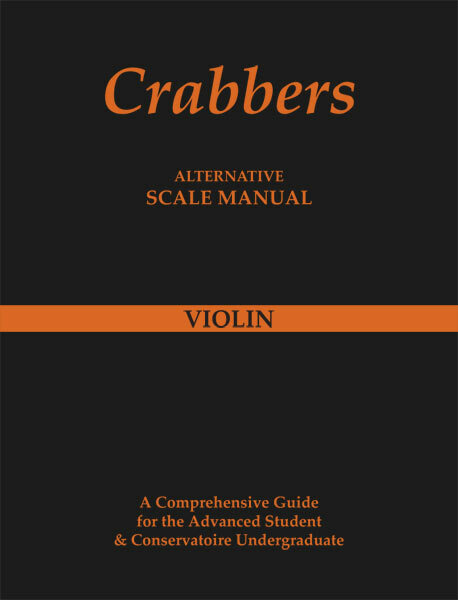 For efficient practise you can begin anywhere in the scale on either a or .This will give the correct pulse, with the correct bowing and with the correct finger. It is advisable to cover all position changes in this way. Immediate improvement with aural and coordination capabilities will be experienced. Please click on the violin book pages where there is additional practise information for three octave scales. 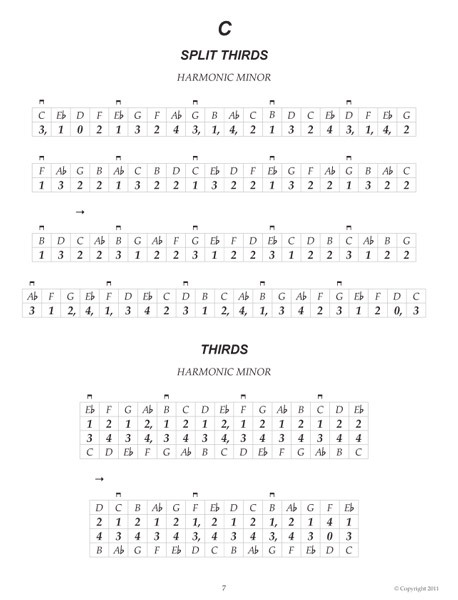 Split thirds are the only single note scales that occasionally require a change of string simultaneously. The first line (ascending) 3,1,4 (G,B,Ab) is a typical example. These scales are in simple time so the pulse falls after every four notes. Movement only from the wrist (right) when changing strings simultaneously. Thirds are the most important double stops to acquire an advanced technique, as they improve balance and strengthen the left hand. Example..
To improve coordination practise 4 bow strokes on each note, then two, then one. MAKE SURE THAT THE BOW STROKE REMAINS AT THE SAME SPEED. It is important not to start too fast as the scale doubles in tempo with every change. Bow either middle or middle to upper half of the bow to begin with. When changing position slowly or quickly it is helpful to remember that the left hand moves after each pair of notes. 31 42. This process is repeated with a pause before changing position. Fingers and thumb must always remain loose and relaxed. Please go to viola book for additional information on how to practise 3rds. For pure intonation it is crucial that the hand is relaxed and that a smooth change of position is achieved. Using the same fingers for adjacent chords will give a seamless legato feel to the scale. This is especially noticeable when using slurred bowing. 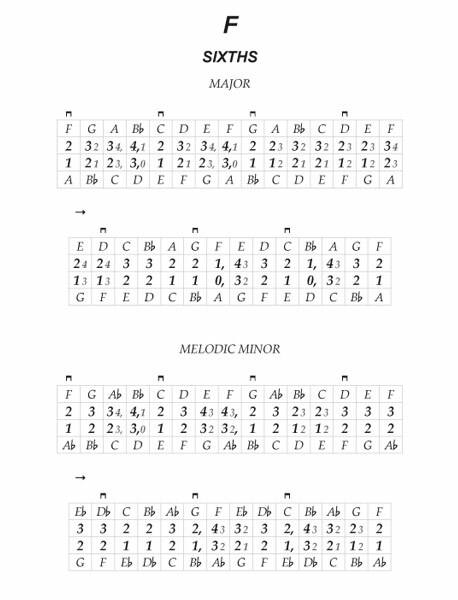 Alternative fingerings are given in smaller print. Practice techniques are the same for thirds and octaves. 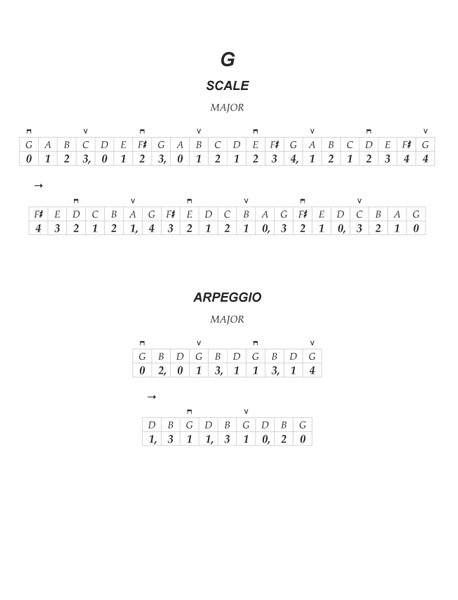 Please see the various pages in all three books to enhance the practice of double stop scales.